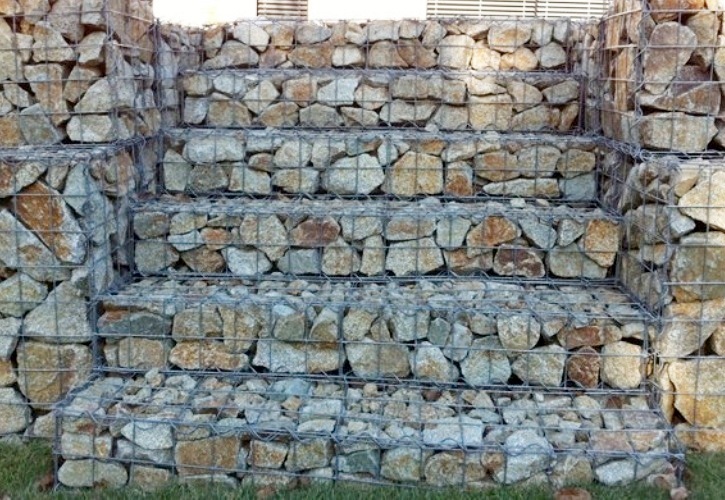 Angular rock is the best gabion fill as it provides a good interlock and therefore less deformation of the face occurs. 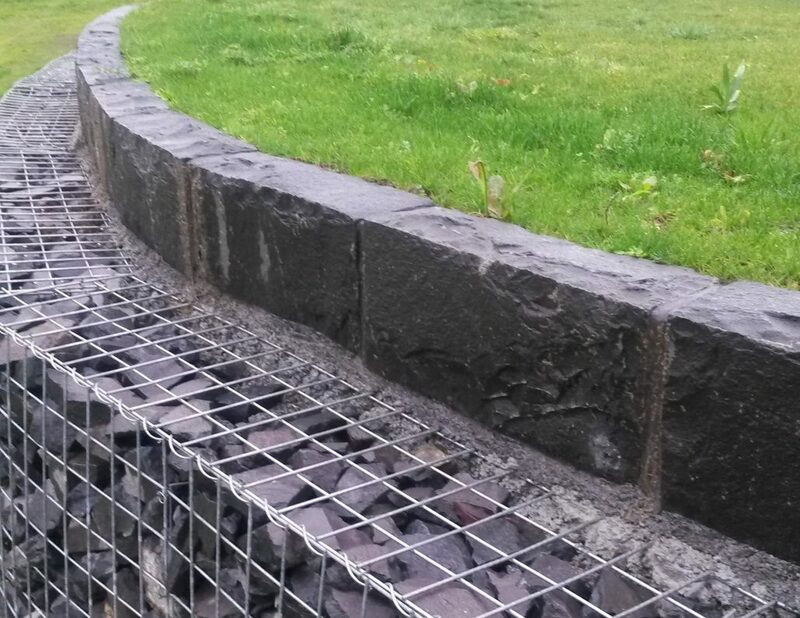 When using rounded river rock as gabion fill, it is recommended that you use the heavier 4.5mm gabion baskets, which are less likely to deform under load. 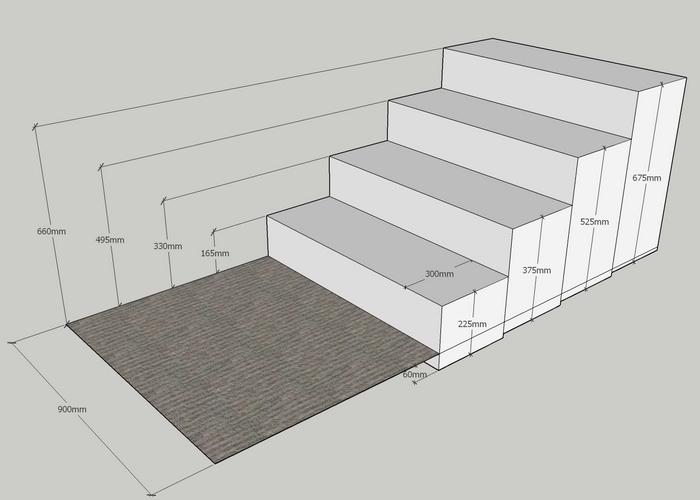 This gives a more rustic finish to your project. 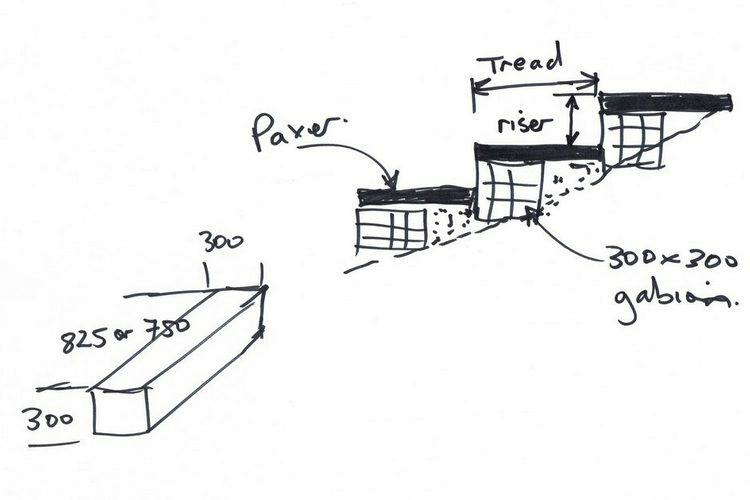 When building gabions on grade the riser to tread ratio, may not be ideal. 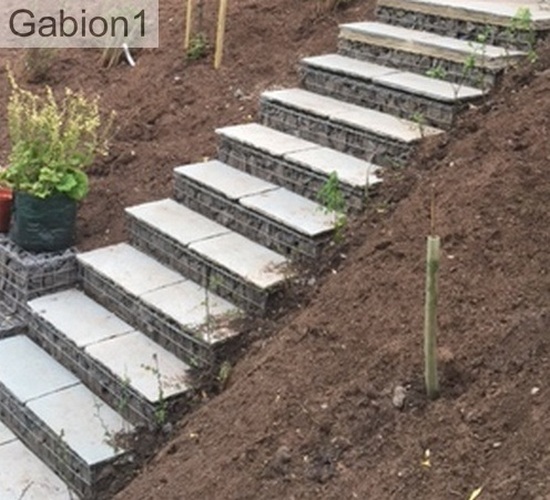 By slightly burying the gabion, the tread height can be optimised. 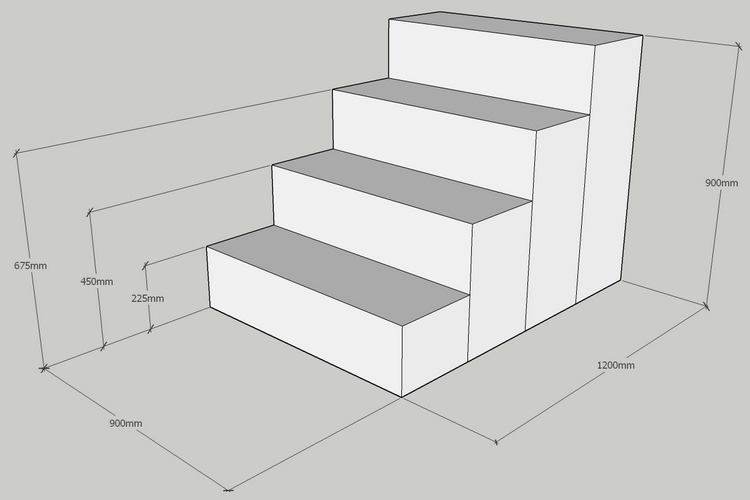 Making the steps easier to walk up. 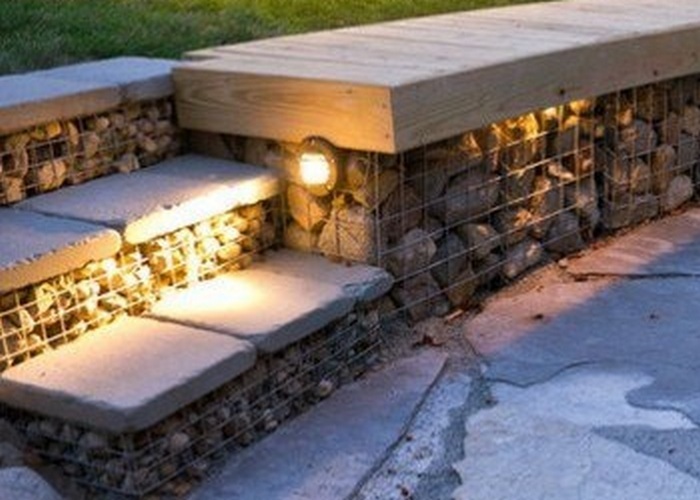 By creating benches or keying into the hillside, you may able to create terraces and gabion steps as required. 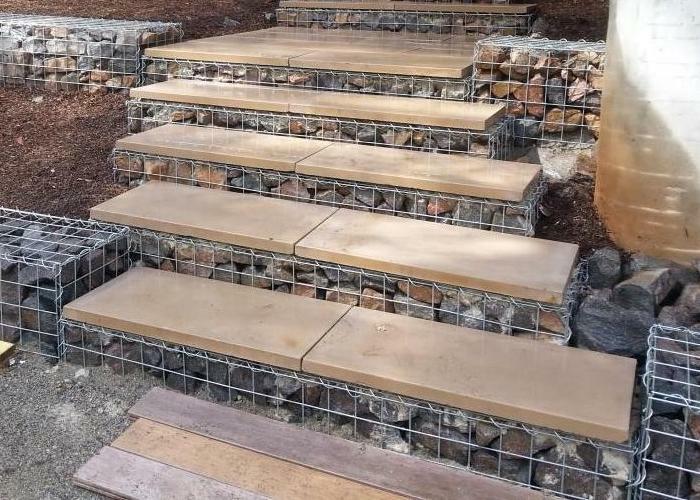 The cement mortar binds with the gabion mesh, allowing you to attach paving slabs and other stone to the gabion stairs as required.